If you're looking for a new addition to your summer decor, you can get this fancy Summer Fun Welcome Doormat. Made with a dye sublimation process this mat is great for any environment. You can pair your mat with our indoor tray for a cushion comfort top surface. 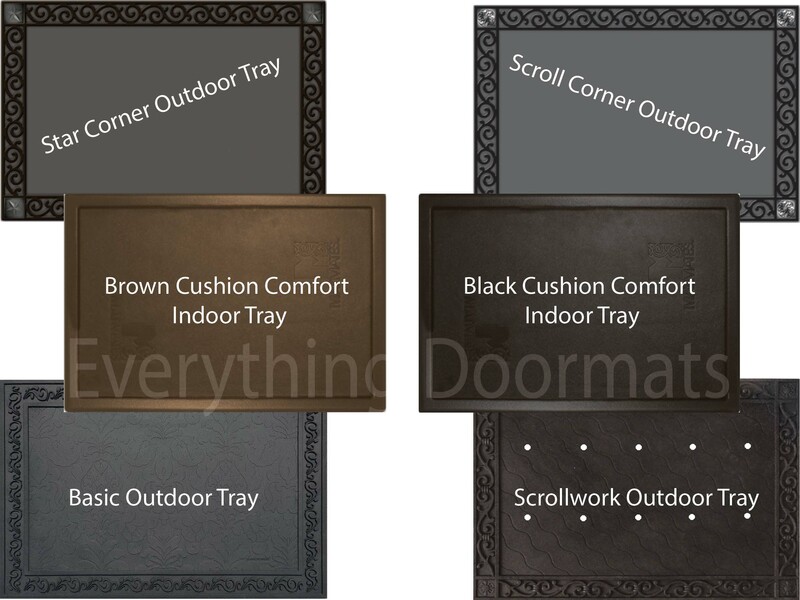 If you wish to display your doormat outdoors pair it with our outdoor tray for a classy look. The exquisite colors make your mat fit for any environment. Cleaning your mat is simple, you can see our Mat Cleaning Page. This Summer Fun Doormat is 18" x 30" when used as a stand-alone mat. Note: The Summer Fun Doormat is pictured in our Scroll Corner Outdoor Tray. The outdoor trays and cushion comfort trays are sold separately.